141 and appears to be affected by this issue. 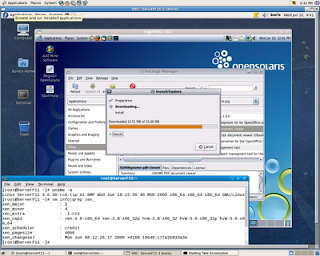 Straight forward Xen 3.4.1 build brings up Xen Host with hotplug scripts rejecting to work. 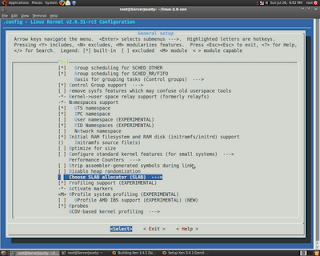 Tuning Config.mk results Xen packages to be placed into /usr/local/lib/python2.6/dist-packages due to Changeset 19594 in xen-3.4-testing.hg. 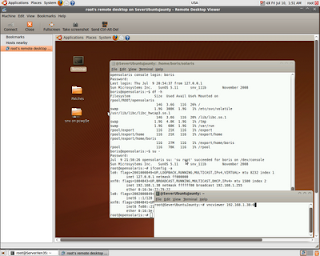 Otherwise, Xen packages would go to /usr/lib/python2.6/site-packages, which is not default location for python 2.6 on Ubuntu 9.04 ( vs F11 ). Thus you won’t be able to start xend in Dom0. 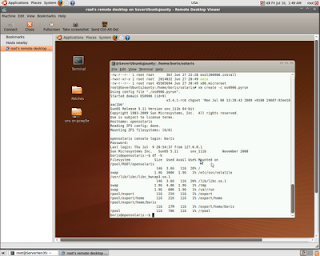 Same thing happens when building Xen Unstable on Ubuntu 9.04 Server. “Fix buildsystem to detect udev > version 124”. 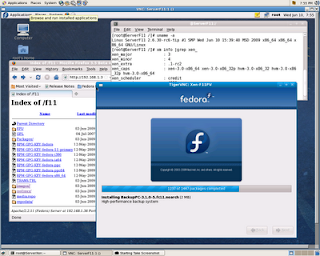 The most impressive F11 Xen related features seem to be the nice Xen 3.4.1 build with python 2.6 coming as default with F11 and graphical installer behavior during pygrub based PV DomU installation phase. F11 is supposed to be installed without libvirt to avoid conflict during Xen 3.4.1 port to Fedora 11 instance. 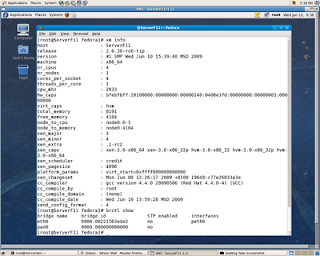 Xen 3.3.1 Hypervisor working with libvirt may be installed on F11 via xen-3.3.1-11.fc11.src.rpm. 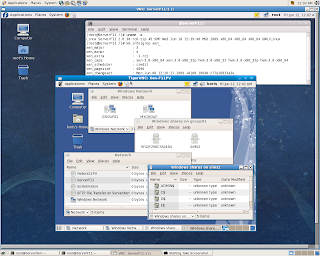 Notice, that mentioned version of Xen 3.3.1 is already patched to work with pvops kernels and may be also patched for pygrub ZFS support. View  for details . 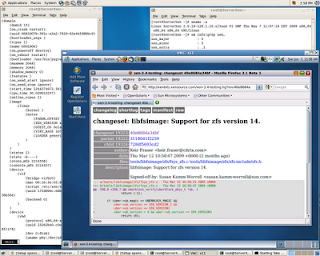 As appears setting default path for python packages to /usr/lib/python2.6/site-packages resolves issues with Xen build raising up on Ubuntu 9.04 Server (/usr/local/lib/python2.6/dist-packages). 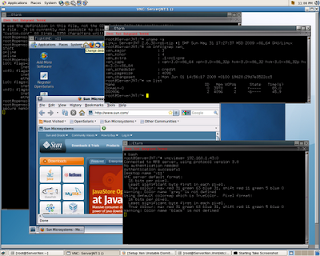 I have to notice that Libvirt 0.7.0-6 (in other words virt-install,virt-manager) been able to work with Xen 3.4.1 Hypervisor is obvious advantage F11 vs Ubuntu Carmic,Jaunty,Intrepid,Hardy Servers. Virt-install was broken in Hardy and afterwards was not supposed to work with Xen at all. 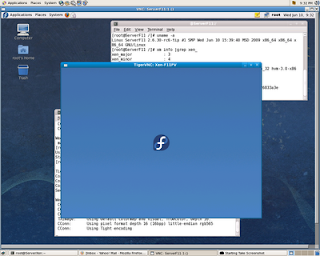 Proceed with building Xen 3.4.1 Dom0 on top of F11. 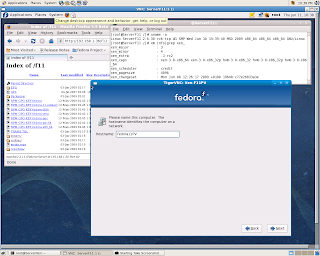 Remote Login with GDM and VNC on Fedora 11 regarding standard setup resumable VNC session. It seemed to me too much unstable. 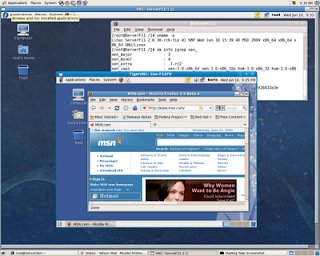 Several actions required root authorization caused VNC session to interrupt. 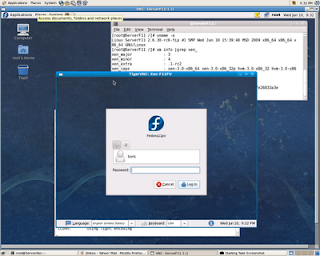 File /etc/gdm/custom.conf didn’t contain [daemon] section. There was no any instruction regarding RemoteGreeter settings. 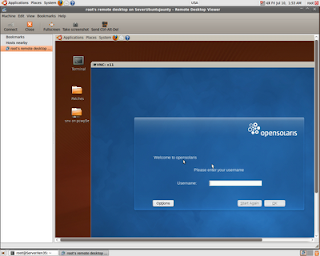 Bring up local Apache Server to create HTTP installation source. 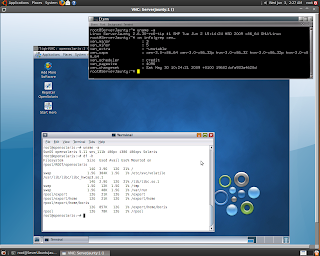 Gitco is providing http://www.gitco.de/repo/src/xen-3.3.1-0.src.rpm for free download. 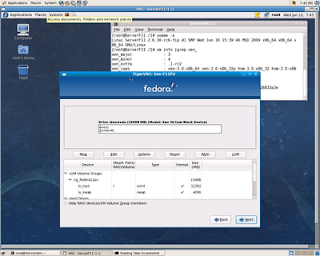 It gives an immediate option to back port Pygrub ZFS support from Xen 3.4-testing mercurial tree. Raw content of CSs 19322,19323 is supposed to be placed into patch files under /usr/src/redhat/SOURCES. 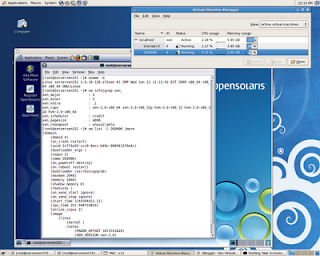 OpenSolaris 2009.06 PV DomU running at Xen 3.3.1 Dom0 on CentOS 5.3.
via change sets 19323,19322, what makes OpenSolaris 2009.06 PV DomU install pretty much straight forward vs it happened under Xen 3.3.1 Hypervisor. 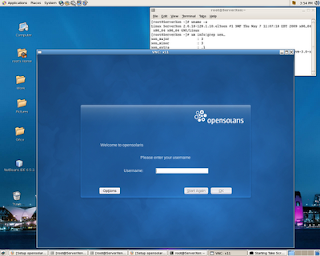 Backport this CS’s to Xen 3.3.1 would very helpful in my opinion. 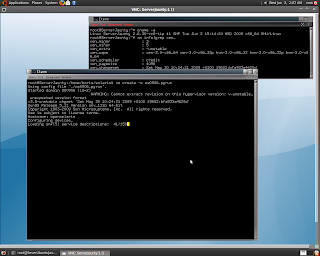 extra = "/platform/i86xpv/kernel/amd64/unix - nowin -B install_media=cdrom"
# GDM Custom Configuration file. 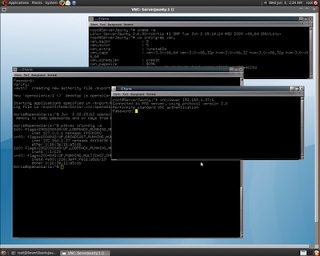 Failure to obtain IP via DHCP at boot up causes services error messages go to console and loosing login prompt. 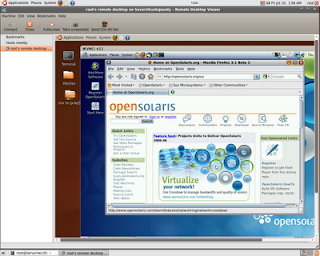 You are currently browsing the Xen Virtualization on Linux and Solaris blog archives for June, 2009.